You probably already know about the tax advantages of municipal bonds. 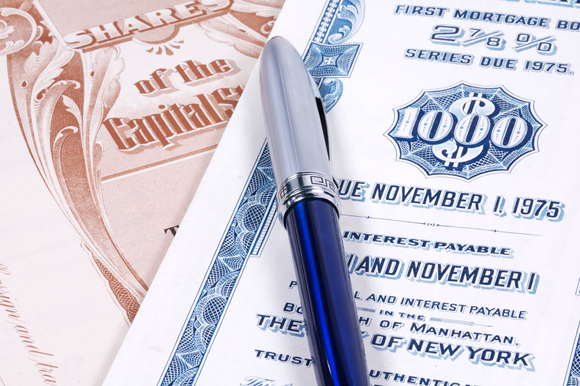 The income generated by "munis," as they're often called, is normally exempt from federal income tax, and it may not be taxed by your state, either, if your state issued the bonds. Moreover, income from munis doesn't count toward the 3.8% tax on net investment income (NII). That may help you avoid or reduce the NII tax. But there's yet another tax-saving aspect of munis that often is overlooked. If you "swap" munis in the secondary market, you can generate a loss from the transaction. That loss, like other investment losses, can offset capital gains and as much as $3,000 of ordinary income. This strategy may be especially valuable if you realized short-term gains during the tax year in question. To get those benefits, investors often swap munis at the end of the year, when they have a clear picture of the tax consequences. But this strategy can be implemented at any time. And if you wait until the year is drawing to a close, it may be harder to find a suitable match. To be technically accurate, a muni swap is actually a simultaneous sale and purchase of bonds. In other words, you sell a muni whose current value is down from what you paid for it while buying another muni with similar investment characteristics—for example, the same face value. When both parts of the exchange are complete, you're in essentially the same investment position as you were before the swap, but now you have a current tax loss on the books. This could work even better if the muni you acquire has a higher interest rate than the bond you're trading away. Suppose you bought an Eastern State muni years ago for $10,000. The bond's current value is $7,500, it will mature in 15 years, and it has a 4% interest rate. Other investment activity during the year has left you with a $2,500 short-term capital gain. As a result, you decide to swap the Eastern State muni for a Western State muni that also has a face value of $10,000. The Western State bond also is currently valued at $7,500, but it matures in 20 years and has a coupon rate of 4.5%. After the swap, your $2,500 capital loss offsets your net short-term capital gain for the year. In your 39.6% tax bracket, this saves $990 in tax (39.6% of $2,500). Plus, you're now in line for more annual income. Instead of earning $400 in tax-free interest each year, you'll get $450. When the Western State bond matures 20 years down the road, you'll owe tax on the $2,500 difference between the price you paid for the bond and its face value, but that's a long way off. You might even swap munis again to head off that tax. Why Would You Take Your RMDs Sooner? What Would You Do For A Bigger Salary Or More Benefits? What's The Truth About Probate? © 2019 American Financial Advisors, LLC. All Rights Reserved. © 2019 American Financial Advisors. All Rights Reserved.